How to apply eye-tracking results to improve usability & user experience design. The course will feature a diverse mix of presentation materials and participatory activities including eye-tracking visualizations, quantitative data, and video clips from past UX studies, group and individual exercises, and hands-on experience with an eye tracker. Both facilitators have many years of experience with eye tracking and will frequently discuss stories and case studies where eye-tracking research was involved. The first half of the session will provide an overview of eye tracking in the field of user experience research. Participants will work in small groups to design and conduct a user research study under the guidance of the tutorial facilitators. All participants will have an opportunity to gain hands-on experience with the eye tracker. Attendees will experience the role as a participant, moderator, and observer during the eye-tracking study. The second half of the session will begin with a discussion of theories and methods for analyzing the results from an eye-tracking study. Participants will gain an understanding of commonly used information visualizations and techniques used to understand quantitative and qualitative data. The tutorial will conclude with a look forward to how eye tracking will likely be used in user research in the near future, and how it is being combined with other physiological measurements such as EEG and GSR. Tutorial attendees should be familiar with traditional usability testing methodology. The facilitators will assume that all participants have an understanding of user research and will ideally have had some experience conducting usability tests. Prior eye tracking experience is not required for this tutorial. The first half of the tutorial will be used to make sure that all participants have a solid understanding of basic eye-tracking principles and applications. The second half of the session will delve into more advanced applications and how to analyze eye-tracking data. Jen and Andrew are co-authors of Eye Tracking in User Experience Design, 2014. 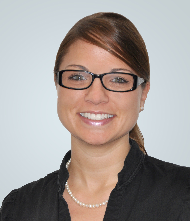 Jennifer Romano Bergstrom has been conducting quantitative and qualitative user-centered research for over 12 years. She is currently a Senior Research Associate at Fors Marsh Group and runs their user experience efforts both in the field and in their state-of-the-art laboratory, which she designed. She often uses eye tracking as a tool to understand what users look at and are largely unaware of, she combines eye tracking with physiological measures such as galvanic skin response to assess what is exciting, and she conducts studies that aim to improve usability and eye tracking methods. Prior to joining Fors Marsh Group, Jennifer was a Research Psychologist in the Human Factors and Usability Research Group at the US Census Bureau, where she learned to quantify eye-tracking data and the user experience and taught colleagues new methods. She is currently the President of UXPA DC and DC-AAPOR. Jennifer received her B.A. in Psychology from Central Connecticut State University, and her M.A. and Ph.D. in Applied/Experimental Psychology from The Catholic University of America. 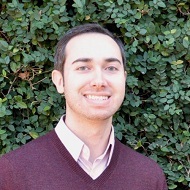 Andrew Schall has worked with numerous public and private organizations to use eye tracking as part of their user-centered design process including organizations such as Aflac, CitiBank, Fossil, GlaxoSmithKline, NASA, PBS, and Rovio. His eye tracking projects have ranged from understanding how children interact with online multimedia to evaluating advanced library search and retrieval systems. He has pioneered new ways to collect, analyze, and present eye-tracking data. Andrew was formerly the eye tracking guru and trainer at Human Factors International and has conducted his Eye Tracking Bootcamp with several organizations including Comcast and GlaxoSmithKline. He is a frequent presenter on eye tracking, speaking at conferences including Human Computer Interaction International, User Experience Professionals Association, and User Focus. Andrew has over 10 years of experience as a UX researcher and designer and is currently Principal Researcher & Sr. Director at Key Lime Interactive, a UX Research agency in Miami, FL. He received his B.S. in Information Technology & New Media from the Rochester Institute of Technology, M.S. in Interaction Design & Information Architecture from the University of Baltimore.